According to the Electrical Safety Foundation International, there are 33,500 injuries reported to emergency rooms involving cooling systems and IAQ products, and 7,400 reported home structure fire incidents due to A/C with up to $200 million damage. Now that the warmer weather is here, it is essential to monitor your electrical system and contact your local electrician for immediate repair. Be sure to create a note to inspect all your indoor and outdoor cords and outlets, as this one is often forgotten and neglected. Look for loose-fitting plugs and frayed wires. Inspect your smoke detectors as well. Check the low-charged batteries and replace them. Call your local electrician to see if your electrical connections and gas detectors are in good working condition. Make sure that the electrical connections on your swimming pool and hot tubs are fully grounded. Use a water-resistant outlet cover on your outdoor receptacles found near the swimming pool and use a ground fault circuit interrupters (GFCI) protection for all your pool power outlets. If you opt to use a wet-dry vacuum cleaner or pressure washer, follow the manufacturer’s instruction. Now that the winter months are over, it is a good chance for you to sit down and compute your electric costs and make some improvements. Spring is the best time to replace your air conditioner if it is on its last leg. Consider upgrading your lighting system also to minimize your overall energy cost. Sometimes, home improvements like LED fixtures or water heater setting adjustment can make a big difference in your power usage. Contact your local contractor to help you decide with all of these. Some electrical equipment like air conditioners and fans have been sitting idle for months. Before you put them into overdrive, consider scheduling a professional electrical check-up from the pro. This helps prevent costly repairs, address inefficiency, and detect potential dangers. The last thing you need when the warmer months set in is a broken cooling system. So be sure to call the pro before it’s too late. 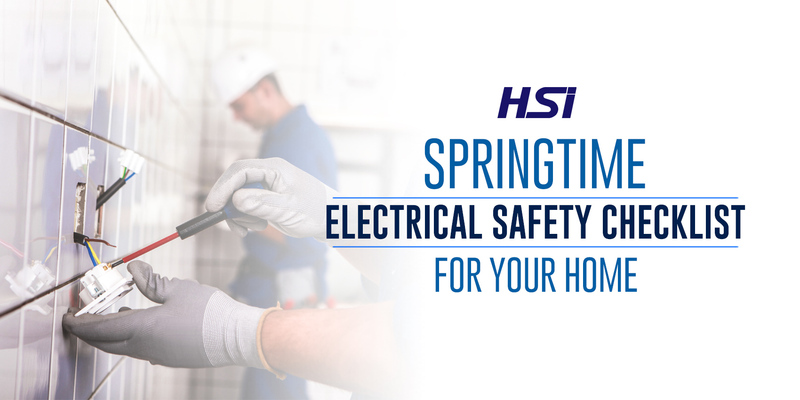 Ignoring your electrical system this spring season will not just put your property in great risk, but you are compromising your family’s safety as well. Let us help you solve your electrical issues and give you an added peace of mind and safety. Contact us at Hightower Service today!